N. Tucker Meneely has been selected by the Maryland Daily Record to write for its Generation J.D. blog. 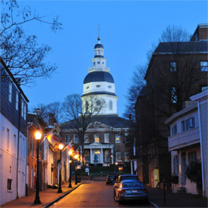 The Daily Record has been in publication since 1888, providing legal and business news to its Maryland readers. Generation J.D. was started in 2009 as a blog for young lawyers to share their experiences starting out as attorneys while balancing work and family life. Tucker’s first blog can be found here. To keep up with Tucker’s future blog posts, check back with CouncilBaradel.com or follow Tucker (@NTMeneely) and Council Baradel (@CouncilBaradel) on Twitter.